Today, Europe’s main threats come from elsewhere: primarily, the fear of immigration and the lack of economic recovery, especially in southern and eastern European counties. Together, these fuel citizens’ anxieties to the benefit of populist parties, who offer no effective solutions but very powerful rhetoric. Russia’s support of far-right movements has not produced results in European voting booths, differing from the situation in the United States (which has led to recent indictments), and is a sign that European democracies are in better health than America’s (which says a lot.) It is worth remembering that the first covert CIA operation aimed at influencing a foreign country’s election was led in Italy during the 1948 general election. Squeezed between U.S. disengagement and Russian activism, Europe has the opportunity to respond by integrating further. PESCO was a step forward, but more needs to be done. Only by becoming stronger will Europe be able to successfully deal with both its many endogenous and exogenous threats. Russia poses a serious threat to Europe, both in the military arena and in cyberspace. Vladimir Putin is no friend of Western democracy or the liberal international order, and works to undermine them. His annexation of Crimea in 2014 was one of the most serious breaches of international law since World War II. But the biggest threats facing Europe are internal. Reluctance to invest in defense, unwillingness to tackle violent extremists of all sorts, failure to invest in civic education, failure to tackle inequalities in society—all of these are bigger long-term threats than a sparsely-populated country with terrible infrastructure and an economy smaller than South Korea’s. Russia is a threat to Europe only because Europe allows it to be. Vladimir Putin has been very adept at maximizing the effectiveness of the tools he has, keeping the West off-balance and leaving its leaders with a feeling of impotence. As the truth of Russia’s interference in the 2016 U.S. presidential election emerges, however, Europeans should take the chance to increase their resilience, in all fields. Threats are a function of relative power, in which Europe is far superior to Russia, and relative will, in which it is lacking. That has to change. Russia is certainly one of Europe’s biggest threats. The chance of a military attack on any EU country, even those not in NATO, is extremely small. The risks would simply be too high for Putin. But Russia has systematically sought to undermine European values and sow distrust in the EU and NATO. This has gone way beyond a focus on the Russlandverstehers in Germany and now covers all member states. The Kremlin is constantly probing for weak links and is skilled at using bribery, corruption, energy, ex-KGB links, propaganda, and cyber tactics to increase its influence. It is also extremely adroit at exploiting opportunities (such as the Brexit referendum and other elections) to whip up populist fears over refugees and migrants. Only slowly has the EU woken up to this threat, and its response to date has been totally inadequate. Normally one would expect the U.S. administration to cajole the EU into taking action, but with Trump in the White House there is an additional problem. Europe’s biggest threat is Europe. The most peaceful, prosperous, and democratic area in the world is about to destabilize itself. Rising populism combined with protectionist nationalism, internal rivalry, and mistrust will create vulnerability in the face of any attack. Today, the shortfalls and capability gaps of NATO and the EU are largely accepted risks for European security. Thankfully, military aggression against Europe remains very unlikely. But what about the so-called hybrid threats that have already partly materialized? Massive Russian interference in the U.S. elections is being revealed. Germany, especially and oddly, seems unconcerned. Cyberattacks on public institutions are worrying, but they remain unknown territory for too many decisionmakers. As for the mass manipulation of public opinion: well, our people certainly know what to think of that. Russia is not Europe’s biggest threat, but Russia will definitely play Europe’s weaknesses and open flanks. The question is, to what extent? In his illustrative scenario, Frank G. Hoffman mercilessly describes how quickly and easily the EU and NATO, weakened by crises and mistrust, can be destabilized for Moscow’s benefit. It’s worth a read. On the cybersecurity front, the current Russian government has demonstrated that it has the potential to be a comprehensive threat actor. Moscow possesses the technological skills, from being able to distribute denial of service attacks to trolls to more advanced persistent threats. It has a strategy in place to derail any global consensus on cyberspace from emerging, from the Gerassimov doctrine to internet governance, and is engaging in operations, such as the recent U.S. election hacks and NotPetya attack. Last but not least, its longterm legal approach has been to undermine the UN Group of Governmental Experts. The citizens of the worldwide web of democracies have to stay firm our commitment to the rules-based international order. We already have international laws that apply in cyberspace to build on. The Tallinn Manual 2.0, for example, is an enormous body of work that can help states affected by internaionally wrongful acts in the cyber domain to come up with countermeasures of various kinds. No, Russia is not Europe’s biggest threat—and Europe and the United States have to take care, that they do not make Russia stronger and more dangerous than it is. The Western liberal world is in a fundamental crisis, not because of Russia but because of the West’s own inability or slowness to adapt to a changing environment, including digitalization, globalization, and social shifts. This opens opportunities for Vladimir Putin to raise his prestige and to challenge the Western liberal order—not because he is so strong, but because we are weak. If we, as European states and societies, would do our homework, there would be limited basis for populism and disinformation. Instead, there would be military capabilities, social resilience, and abilities for crisis management in the world, including in the Middle East, which raises the costs for Russia’s military provocations and shrinks the room for maneuver for Mr. Putin. This does not mean that Putin’s Russia is not a dangerous player; it has improved its military capabilities and, because it is economically weak, it is more a destabilizer than a security provider. But in focusing on Russia as the biggest threat we distract from our own political deficits and from more substantial challenges, including China. Russia’s geostrategic assertiveness continues to rise and its expanding military capabilities pose a growing threat to NATO and European security. 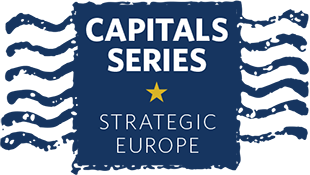 However, the greatest threat confronting Europe today is internal: the real possibility of the progressive disaggregation of transatlantic security institutions and the attendant regionalization of European security. To ensure its security Europe needs to find enough political will to spend resources on real defense capabilities within NATO. Notwithstanding strong rhetoric about the imperative of European solidarity and collective defense, the level of real monetary commitment to NATO has not kept pace. Today, a large number European of allies still seem reluctant to act forthwith to meet the agreed target of spending 2 percent of GDP on defense. These internal stresses within NATO actually threaten most directly Europe’s ability to maintain security and stability on the continent. In addition, the progressive bifurcation of the EU between its eurozone core and the rest of the union puts in question the long-term viability of the European project. If Europe fixes its internal problems, the threat posed by Russia should be manageable going forward. Reluctantly, yes. The textbook definition of a threat is the combination of capability and intent. Russia hits high marks on both. The country has considerable military capabilities with out-of-area capacity, as well as nuclear weapons. Moscow has a track record of breaking the peace with its neighbors and leaving frozen conflicts in its wake. And Putin’s recent statement that it would help Russia if NATO were to fall apart only adds to the threat. The probability that Russia would test NATO in a classical military confrontation is low. But the grey zones available in hybrid warfare leave the Russians with several options to test Europe, including aggressive overflights, disinformation campaigns, election meddling, gas dependency, and cyber threats. Countermeasures often fall within the EU’s remit, from energy policy to strategic communications. Individual European nations also need to draw on democratic resilience and add united strength by joining up efforts to their bulwark against Russia. It is with some chagrin that I write about countermeasures. Historically and geographically, Russia has always been part of the Eurasian landmass and the European concert of powers. It would be ideal if Russia returned to what Gorbachev dubbed the “common European home.” But with the current leadership's authoritarian bent, there is little hope for such accommodation. Europeans have to be prepared for a long-haul threat from Russia. No. The biggest threat to the Europe is complacency, just as the biggest threat to the United States is complacency. Obama had it right (even if he made a diplomatic mistake in stating it so publicly): Putin runs a country and a system that is in decline. Russia is mired in domestic poverty, the minerals curse, and the development trap. Meanwhile, during Putin’s decades in power, China has lifted 800 million peasants out of poverty, created a middle class that outnumbers America’s, is running circles around Russia in Moscow’s Far East, and has invented a successful autocratic path to development that Westerners once thought was an oxymoron. Furthermore, Putin has “lost” Ukraine. In his undeclared war on Russia’s younger brothers, he pushed Ukrainians, for the first time in history, into an agreed self-identification that is no longer East Slav, but European. The Ukrainians, who in early 2014 could field only 6000 soldiers, learned by doing, and has built up an army that has fought the Russians and its proxies to a standstill, nullifying Putin’s boasts of possessing nuclear escalation dominance. No, complacency is. President Putin has trolled the status quo since the war in Georgia in 2008. He has upset geopolitical balances in Ukraine and Crimea, while disrupting democracies with a shrewd, KGB-educated, disinformation cyberwar. His opponents have a peculiar tendency to die mysteriously, while a dozen Russian diplomats have also abruptly “retired.” Europe was very slow to respond to this offensive. German and Italian entrepreneurs balked at sanctions, populist parties, Brexiters, Le Pen, Lega Nord, the Five Star Movement, right wingers in Poland and Hungary, and flirted with the Kremlin. Yet steely, East Germany-born Angela Merkel did not flinch, and the EU took a decent stand vis-à-vis Moscow. Putin is too weak to be a real threat; he is not Stalin in 1945. The Russian economy has still not weaned from its oil addiction, the ruble tumbles periodically, the war in Syria is not the triumph that RT and Sputnik claim, public opinion is disaffected, and youth bred under Putin are looking for new leaders. Tactically, Putin is still strong. Strategically, like Brezhnev, he is doomed. So Europe should keep building a twenty-first-century ready military defense, support the Baltic states, apply stern sanctions, and not give in to Putin’s macho bluff. Time is running out for the last czar. Russia is no longer a threat but an active combatant in a shadow war with the West. Part of the problem is that Europe and the United States continue to underestimate the situation; they do not realize that they are at war. Hybrid war is just war by other means—the aim is to get the West to surrender without engaging in a direct military confrontation. This year’s Munich Security Conference offered more evidence of this underestimation. The Russian foreign minister was invited to the podium as just another speaker from a country that seems less dangerous the Trump’s America, while Russians were doing business and networking with Europeans. The German foreign minister spoke of easing sanctions on Russia. The new German government will have a hard time holding the line on sanctions given the weakening of Angela Merkel’s authority. Russia is actively undermining the liberal international order through corruption, outright criminality, and lethal versions of “fake news,” while the American president remains unconcerned. The title of John F. Kennedy’s Harvard thesis was “Why England Slept.” The United States and Europe can now be added to it. The unique period in human history when one power de facto ruled the world is over. Pax Americana lasted for about a quarter century, from 1989 till 2014. Now the world finds itself in a more familiar state, with several powers competing among themselves. The United States has officially designated China and Russia as major rivals challenging American primacy. China, of course, is the main challenger, given its economic and growing military power, global reach, and dynamism. Beijing has also aired a number of concepts and initiatives to remake the world, from the “community of common destiny” for all humanity to “major power relations of a new type” to the Belt and Road Initiative. Russia, by contrast, is fighting for its own security and status. Through its armed pushback in Georgia and Ukraine it effectively stopped further enlargement of NATO to the east; through its intervention in Syria, it won back the coveted title of a great power. By countering Western support for democracy and human rights in Russia with its efforts to highlight deficiencies in the West’s own conduct, the Kremlin has won some breathing space at home. Essentially, Russia stands for itself, whereas China eyes the world. The answer seems obvious. Military intervention in Ukraine, growing influence in the Middle East, cyberattacks inside our own Western democracies—all the evidence is there to view Russia as our worst fear and biggest threat. Yet this narrative is not totally convincing because we still fail to pinpoint what the nature of that Russian threat is exactly. All the Russian initiatives we have to face today do not make a genuine case for feeling under an overwhelming pressure that is about to overcome our institutions. The Russian version of a liberal democracy and free market society is not so attractive that it can be pictured as an alternative for future Western populations. What if the problem in the end lies with us and not them? Many of Russia’s recent successes have often been the mirror of the West’s own shortcomings: to anticipate major geopolitical crisis, to build up our capacity to take care of those left behind economically, or to reinforce the cohesiveness of our societies. Maybe the real threat is the West’s current inability to adapt its own political and economic system to the new realities of the global world. Europe's biggest threat? I gather that Bangladesh [population 166m] needs to create roughly 2 million jobs every year to keep up with its expanding population. But automation is making this aim difficult, if not impossible. No doubt we have a similar and dangerous state of affairs in other parts of the world, eg Russia and Europe. Unlikely there will ever be effective restraints on 'Wall Street' though, especially given the practice and trend in financial deregulation. Read twice what Elisabeth Pond had to say: "The biggest threat to the Europe is complacency, just as the biggest threat to the United States is complacency". And her impressive round-up of discussions, compressed in dictum from the classic comic strip, Pogo: “We have met the enemy, and he is us.” Suggest to read twice also what Dimitri Trenin so well condensed: "Pax Americana lasted for about a quarter century...now the world finds itself in a more familiar state, with several powers competing among themselves." And his conclusion: "Essentially, Russia stands for itself, whereas China eyes the world." Other discussions, with honorable exceptions, I have received as an invitation to contemplate about tomorrow in fear and pain, while looking on self-serving views of political elites. Europe’s greatest threat to Europe has always been European. It is a long list of wars: religious, ethnic, vanity, colonial, imperial, anti-revolution, revolution, civil. There were also invaders: Umayyad Caliphate, stopped, Tours, 732; Mongols, 1240’s lost in the huge Eastern buffer; Ottoman Caliphate, victorious 1453; Vienna stopped, 1683 (by Poland, seldom acknowledged). It culminated with 1914, the question mark on the word civilization when associated with Western. Instead of a Wilson brokered peace (more Wilson than a US retreating inwards later), the end of the first act marked the beginning of fascism in Italy. It would have been great for a CIA to be around and stop the “Marcia su Roma”; Risi’s documentary like movie shows the tragedy of the common men who believed that it was for them. Remarque’s “Westen nichts neues”, common men returned from the front to a life painted by the same author, again, no CIA to stop the rise of the NSDAP (or Weimar about Lipetsk, democracy preparing war on democracies). Bindi could explain what anybody could have done to stop a Communist advance in France and Italy (Rol, FTP, Valerio). It was not just covert operations, it was also the Marshall plan;not always a succes, Gavras’ Greece one of them. It is so easy to always criticize the US, sometimes in bizarre constructs (Bindi, Cameron); I’d rather point to the Great Depression, followed by the Great Recession, triggers for decades long effects. For those who recognize EU’s own mistakes, how was it possible for the EU, largest, wealthiest construct in Western history, to fall in love with the toxic products of financial “engineers”? CDO/CDS’s, worse, HFT with decimal replacing fractional trading, alghoritmic trading assaulting the very concpet of stock market? Milton and MPS, when you have Keynes and Piketty? There appear to be consensus that Russia will not all of a sudden march Armata tanks to Pas de Calais; the question is not “Why?”, it is “With what?”; moreover, what would happen in Russia’s Far East (remeber who won the battle of Moscow, 1941), with all SCO? “Europe’s biggest threat is Europe”, what Brexit started as a mistake of an alouf PM might spread, with a charismatic Marion Le Pen and a rising AFD in Germany. More, it is not clear that the free movement of people happens the way it was designed; the euro is a separate discussion. Europe will survive the day when all Europeans will recognize that the EU is the only option. Paradoxically, that includes Russia. Russia is a threat to no one because no one envies Russia. There is virtually no aspect of contemporary Russian life that non-Russians wish they had. None! Commentators above that state that Europe’s internal problems are a greater threat have fallen into Russia’s trap. This naivety is shocking. Most if not all of Europe’s internal problems are caused by Russian covert and overt actions. Putin’s links with the far left and far right for example are well documented. Until we keep underestimating Russia this way and keep blaming ourselves Russia will keep winning. Not a single Russian post, meme or bot changed a vote. To suggest Russians have not been interfering in all Western elections since the advent of the Cold War is laughable. The idea that free speech access in the US led to to possibly hundreds of election related ads on Facebook, and that one single hair-stylist or coal miner changed their vote because of it, is proof that advanced education in the West is worthless nowadays. Whether or not Russia is a threat is a good discussion - suggesting they influenced a US voter is Soros talking points. Europe missed opportunity to stop Russia against itself 2001-2002 when Putin starts up ruling the Russia.This is because nobody in the EU was not ready to find formula to keep both, Russia and America for EU hands.Seems that was impossible but it was possible in the case that Germany appetites was diminished.But now, its to late.Europa was missed train to personally constraint and controlled reinforcing Russia and becalmed the moderator of American world power exposed its power by the Europe as leader. These redesigns since have changed balance of the world policy based on the EU Russia modestly friendship , and new the American Chines also modestly friendship that still existed in those days, whereas EU could be launched as the main balancing leader.But, selfish of the EU national states is bigger then the big plans for the future.Only care about long term future in the world is finally China which have smart program of the world ruling for next hundred Years. I don t like that but seems to me as the true. This basically sums up European foreign policy in a nut-shell. All massively divergent opinions, no one can even agree what European threats are. No one can even agree if Russia is a threat or not (obviously it is, whether it's the biggest or not might be more debatable - but sum here are suggesting it isn't even a competitor, or has interests that diverge against Europe and which undermines European interests - of course it does). Let alone let's not mention Europe doesn't exactly have the greatest capabilities anymore. This is the state of present day European policy. Confused, bogged down in conflicting opinion / views, slow, inactive, only ever reactive, no-longer capable.